Home » Do College Students Really Need Emergency Funds Too? Do college students need emergency funds? That would be a resounding yes. Everyone needs emergency funds, even college students. While college students might not have a lot of expenses, and may still be getting help from their parents, it's important to have emergency savings for when the unexpected comes up. 1. Most people don't get serious with their money until much later on in life. 2. When an emergency does come up, you will not have a headache about it. 3. If you learn to have an emergency fund now, the habit will trickle to other areas of your financial life. 4. Jobless after college? An emergency fund can help you survive until you find one. ​​​​​5. An emergency fund is an investment in yourself. Unfortunately, people have learned too late that making wise money decisions at an earlier age would have served them well if only they had the tools and/or knowledge. Thankfully, you’re reading this blog post, which means that you are already thinking differently from at least 60% of the population. According to a recent survey by Bankrate, 61% of people do not have an emergency fund that they could use in case of an emergency. Getting into the habit of creating an emergency fund now will open even more incredible financial doors for you in the future. Whether we like it or not, unexpected expenses will come up in life. Your car breaks down. You have to visit a sick family member all of a sudden. A water pipe bursts in your college apartment and puts residents out for a few days and this means you need to stay at a hotel. Whatever the emergency is, it is important to be prepared. In the Bankrate survey mentioned above, over 60% of people did not have enough money saved up (the amount surveyed was $1,000). This means that they will not be able to cover an unexpected expense. In that same study, 19% of respondents said they would use a credit card to pay off an emergency. Twelve percent said they would borrow money from friends. And 5% said they would take out a personal loan to cover the expense. Do you see how “debt” is written over all of these options? In addition to paying for your emergency, you will probably have to pay back more money (once you factor in interest) to your creditors than the emergency was worth. So now you have to worry about paying for the emergency plus paying off extra debt. What a headache! Having an emergency fund means you get to join the other 40% and your stress levels will be significantly reduced when an emergency comes up. Watching your emergency fund grow gives you a psychological boost that will help you make more great financial decisions for your life. Pay off your student loan debt faster because you love the feeling of being in control of your money. Purchase a house and pay it off earlier. Reach savings and investment goals most people will never reach because they have never been taught. You will also be less likely to depend on your parents for money. And believe me when I say that they will be very grateful that you made sound financial decisions early on in life. Although the economy is not as bad as it was in 2008, finding a job does not always happen immediately after you graduate college. If you have an emergency fund, that money could hold you over until you find one. Working while taking college classes is difficult. To have nothing in the bank account to show for that hard work is demoralizing. When you put money away in an emergency fund, you are investing in yourself in an immensely valuable way. Now that you know why you need an emergency fund as a college student, here’s how you can get started with one. To start an emergency fund, the first thing you have to do is set a goal. There is a lot of advice out there about emergency funds; none of the advice is a hard and fast rule. Save up enough money to cover six months of expenses. These are common schools of thought if you do a quick search on Google to find out how much you should save for an emergency fund. I would advise not to focus on those as much as you should focus on what you can save each month. So pick a number, write it down somewhere, and start working toward that. I’ve talked about how to budget as a college student on the blog. And there is a myriad of apps to help you budget and save. It doesn’t matter how you try budgeting, as long as you can account for where your money is going, you’re doing fine. Are you able to put aside $50 each month? Add it into your budget and commit to putting that money away each month. Don’t try to save money in the same account you use for daily expenses. Open a separate account and transfer money there instead. This will help you keep track of the growth of your emergency fund and will also reduce the likelihood that you will spend it. When you don’t have to think about putting the money away into a savings account, you’re likely to save more money. Making your savings amount come out automatically each month or week means you will make fewer decisions about whether or not to save. Also, because it is happening without you noticing, you are likely to accumulate more money than you even realize. Once you’ve saved up to a point where you feel comfortable, you can put some of your emergency fund money into a high-yield savings account such as a money market or certificate of deposit (CD) account. High-yield savings accounts will pay you interest each month when you save with them. It is money you did not work for and it ultimately adds to your bottom line. 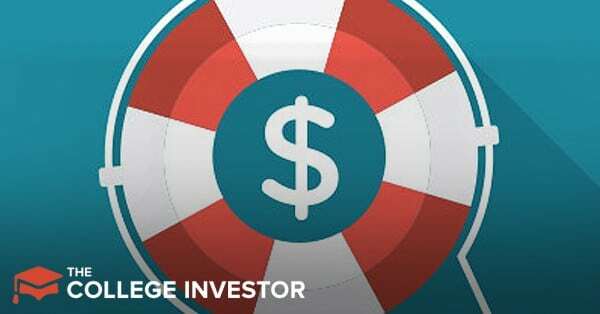 Starting an emergency fund as a college student is more than a smart idea. You’re setting up yourself for financial success in many ways. Plus, when an emergency does come up, you can rest easy because you have the money to cover it. The best part of this whole deal is you can get started today and see success months down the line from now. Your thoughts and comments are welcome below.